Cars For Hope began because we believed in the story of Annabel, who was struggling with depression and for a long time, believed the lie that the world had forgotten about her. Over the years we‘ve come to know that many others are also battling depression, anxiety and self-injury. That’s why we believe it’s so important to encourage people to have the difficult conversations and seek the professional help that they deserve. With the help of everybody who has shared a story, supported a friend, or done anything from their heart for mental health, we have always: believed in the necessity for access to the right information about mental health; endeavoured toward fighting the stigma surrounding mental illness, and; helped to facilitate others who are dedicated to the treatment of mental illness. This is why each and every person who has contributed to the organisation has done so as a volunteer without financial incentive. It is very important to us that the goals we envision are done for the right reason, and this is a mantra we will continue to operate by. Over the past few years Cars For Hope has worked year-round to insight conversation about good mental health, and delivered various awareness campaigns including #THEORANGEEFFECT for Self-Injury Awareness Day and #IAMDRIVEN for World Suicide Prevention Day which have been great successes. What we stand for was never meant to be a one-step, cure-all process, but we are doing what we believe are important steps toward a better landscape for mental health by sparking meaningful conversations and connecting people to help on their road to recovery. In the 2017-2018 Australian Financial Year we invested 100% of all donations to Cars For Hope directly into mental illness research and treatment via Black Dog Institute. They resonate closely with what we strive for and specialise in diagnosing, treating and preventing mental illness through programs such as the development of clinical treatments and e-mental health tools. 73% of the expenses of Cars For Hope for the 2017-2018 period were attributed to operating expenses, which include advertising, accounting, consumables and manufacturing merchandise. 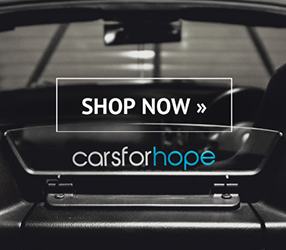 Cars For Hope is the vessel for carrying the message of hope and the story of Annabel, but it is every one of you who echoes what this truly means to you. We are unboundedly grateful and hold dear to our hearts everybody who believes in Annabel, and that hope is real and recovery is possible. 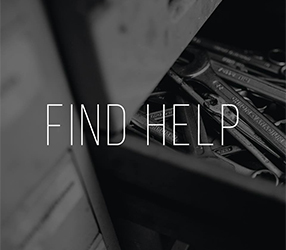 We are always open to any queries about Cars For Hope, who we are or what we do. 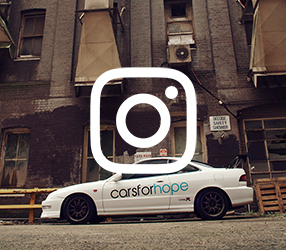 Please get in touch with us at: info@carsforhope.com.au.